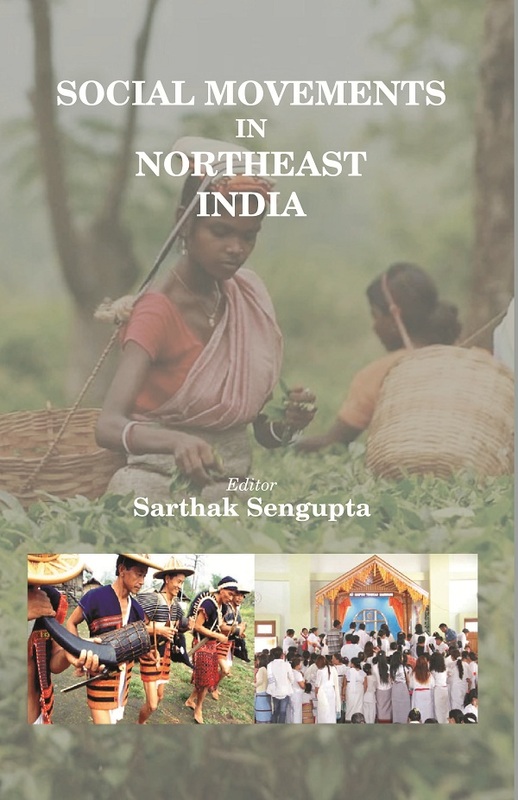 The Title 'Social Movements in Northeast India written/authored/edited by Edited By:- Sarthak Sengupta', published in the year 2019. The ISBN 9788121214490 is assigned to the Hardcover version of this title. This book has total of pp. 242 (Pages). The publisher of this title is Gyan Publishing House . This Book is in English. The subject of this book is Sociology. In recent years, studies on 'social movements' occupy a central place in contemporary interdisciplinary social science research, however, information from Northeast India is inadequate even today and hence this treatise is a welcome addition to the literature. The volume will be of attention to book lovers who are concerned to study Northeast India in general and those who pursue social movements and civil society as well as political affairs in particular. Sarthak Sengupta received his M.Sc (1977) and Ph.D. (1983) degrees in Anthropology from Dibrugarh and Gauhati University respectively. He also worked with the Anthropological Survey of India, Government of India and North Eastern Hill University, Shillong for quite some time and conducted intensive field studies among diverse tribes and castes in Arunachal Pradesh, Assam, Meghalaya, Nagaland, and Uttar Pradesh. Professor Sengupta in all has about 270 research articles published in various reputed national and international professional journals besides several chapters in edited volumes. Moreover, he has to his own credit twenty well-knitted books on Northeast Indian tribes. He has mentored ten number of Ph.Ds and completed several major research projects being sponsored by U.G.C; ICSSR; DST; ICMR; Indian Tea Board etc. Professor Sengupta is associated with many Indian Universities in the matters of Post Graduate education in Anthropology. He is an active life and executive member of several professional anthropological bodies and member of editorial boards of The Indian Journal of Anthropology, West Bengal; Bulletin of the Department of Anthropology, Dibrugarh University; Vision NE, Lakhimpur, Assam. Dr. Sengupta is at present Professor and Head, Department of Anthropology; and Director (i/c), Centre for Northeast Studies, Dibrugarh University, Assam. His current research interest is genetical demography, globin gene distribution, population genetics, bio-social studies, diet and nutrition, indigenous health practices and disadvantaged tribal population groups of Northeast India.